To achieve a full look, small partings are key. Although initially the hair may feel heavy, the tension will decrease after a few days. 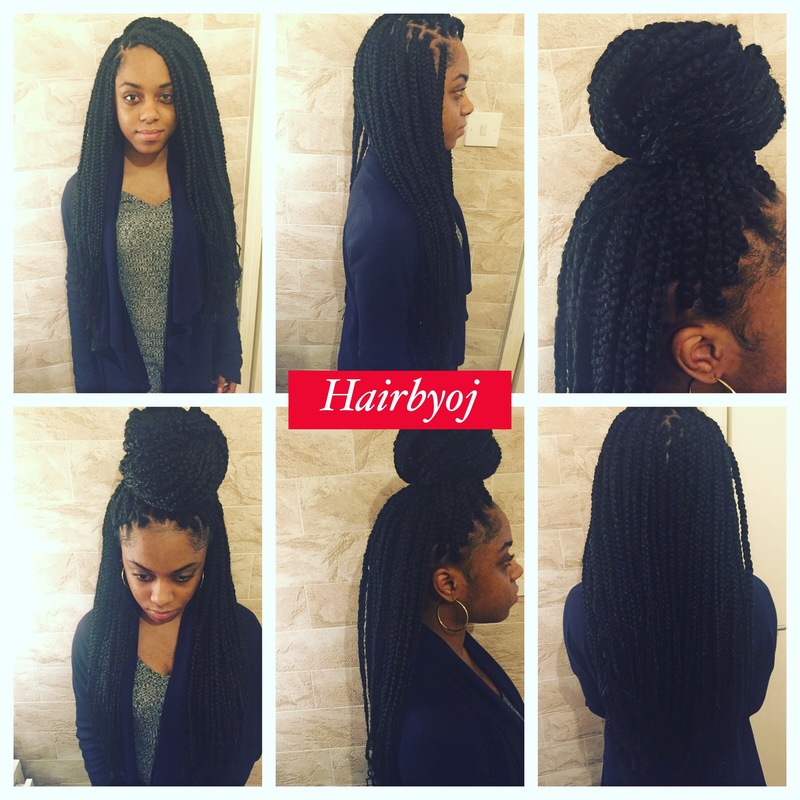 Many styles can be achieved with these long braids one of which is shown above. This entry was posted in afrohair, boxbraids, braids, braids for guys, coils, Cornrows, crochet, crochetbraids, curls, curly, curly girl, curly hair, dreadlocks, hair, hair and beauty, hairdresser, hairstylist, knotleas, knotless, knotlesscrochetbraids, marley hair, natural hair, poetic justice braids, protectivestyle, tightcurls, transitioning, twa, twists, Uncategorized, vixen crochet braids, waves and tagged #curls, afro, afrohair, crochet, crochet braids, crochetbraidsuk, curly girl, curly hair, hair, hairbyoj, hairdresser, hairstylist, leave out, london, longhair, naturalhair, protective styles, protectivestyle, protectivestyling, transitioning, TWA, ukcrochetbraids beauty. How Many Packs Of Hair Was Used To Do This Style ?